Most Ancient Egyptian stories about the creation of the world start with a time when there was nothing but the Waters of Chaos. The stories vary but one describes a blue lotus emerging from the waters with the infant Sun god in its petals. Another tells of a creator god dwelling in the Waters of Chaos before realizing he is lonely. With his thoughts and words he made gods and goddesses and then he created a world with Egypt at its centre and people from his tears. Each of the main cult centres of Egypt had their own version of the creator god and it is impossible to know which one was favoured over any of the others. This variety made for both interconnected and at the same time seeming contradictions in belief that is Ancient Egyptian religion and the complex representations of the gods and goddesses of Egypt. 2. Osiris – was the brother and husband of Isis, and the brother of Nepthys and Seth. He was also the father of Horus and the god of agriculture particularly of barley and ruler of the dead. He can be depicted as a man with green skin or as a mummified man wearing a white cone-like headdress with feathers. 3. Seth – enemy of Horus and the “wicked” brother of Osiris, god of storms and disorder. There was an important worship centre at Naqada in Upper Egypt traditionally held to be the place of his violent birth to the goddess Nut. He is often shown as a strange combination of a man with an animal’s head and a forked tail, he can also be represented as a pig, donkey or hippopotamus. 4. Isis – wife of Osiris, mother of Horus and mistress of magic and usually seen as a woman with a throne on her head or sometimes with a solar disc between cow’s horns and often with large sheltering wings. She was worshipped at Abydos and at the temple of Philae. Her magical abilities allowed her to transform herself into different beings, one being the Isis cow that gave birth to the sacred Apis bull at Memphis. Her following spread beyond Egypt and in some places still worshipped today. 5. Thoth – a moon deity and god of writing, counting and wisdom. Often represented as a man with the head of an ibis or completely in the form of the bird and sometimes represented as a baboon. If you visit the tombs in Egypt you can see this god recording important acts such as the “Weighing of the Heart” ceremony after death. 6. Khnum – one of the most ancient gods, a ram god who shapes men and their Ba’s (a word that the ancient Egyptians used to mean the physical and moral essence of a person) and Ka’s (spirit) on his potter’s wheel. 7. Hathor – goddess of love, birth and death, often depicted with the head of a beautiful woman with cow’s ears or sometimes as a cow headed woman or a cow. 8. Sobek – the crocodile god, Lord of the Faiyum. He could appear as a man with a crocodile head or as a crocodile and worshipped at the temple of Kom Ombo. 9. Ra – the sun god in his many forms. These forms were sometimes worshipped as separate gods. The rising sun called Khepri and portrayed as a scarab beetle, the noonday sun was Horus, the hawk and the setting sun was Atum seen as a man with a ram’s head. 10. Amun – seen as the king of gods, a creator god often linked with Ra, the ancient sun god, and so sometimes known as Amun-Ra. Depicted as a man with a double plumed headdress or as a ram or ram headed. Amun was particularly worshipped at Karnak temple in Luxor. 11. Ptah – another creator god and the patron of craftsmen and so an important figure at Deir-el Medina – the workers village just outside the Valley of the Kings in Luxor. He is often seen as a semi-mummified man wearing a skull cap and holding a staff. 12. Sekhmet – her name meaning “the Powerful one”, is rather a ferocious goddess and it is thought that her temple in Karnak temple was full of statues of her – one for every day of the year. She was associated with battles and helped the pharaoh to defeat his enemies. She is mostly portrayed as a woman with a lioness head often wearing a sun disc to show she was the daughter of Ra. 13. Anubis – god of mummification and funerary rites. One of the most recognised god’s with his jackal head and often featured in in movies and TV series. It is thought that as jackals were often seen around burial sites that this was a god looking over the dead. Anubis was the god who helped to embalm Osiris after he was killed by Seth. 14. Sobek – was the crocodile god and portrayed as one or as a man with the head of a crocodile. He was worshipped at the Kom Ombo temple; in fact half the temple was devoted to Sobek. He was associated with the might of the pharaoh and worshipped in the form of Sobek-Ra as a manifestation of the sun god. 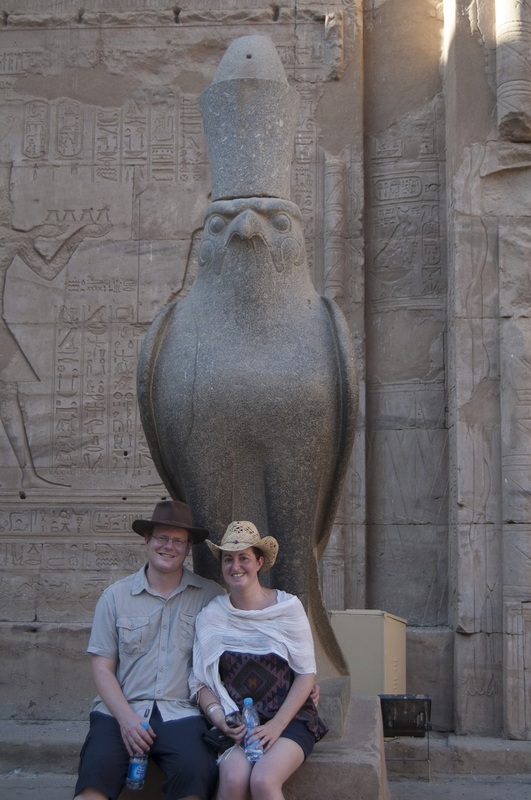 On all of our Egypt tours you are accompanied by a degree qualified Egyptologist and we visit all the sites mentioned in this blog so you can learn about the gods and goddesses of Egypt first hand.